When you put your home on the market, you want to do everything you can to encourage top-dollar offers and a quick sale while maintaining your budget. Oftentimes, sellers focus on removing clutter, staging, and doing other preparatory work inside the home without giving the exterior of the house the same attention. However, any reputable realtor will tell you that making sure the exterior of your home has adequate curb appeal to draw the attention of prospective buyer is imperative to the selling process. 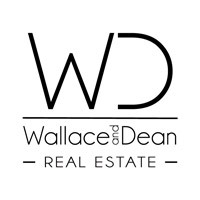 Wallace and Dean Real Estate provides quality, personalized, and professional real estate services to the North Houston and the Woodlands area. If you’re considering selling your home or touring houses for sale, contact us! We’d love to be your local real-estate partner. In the meantime, check out these five things that are sure to capture the attention of prospective buyers. This is one aspect of improving a home’s curb appeal that often gets forgotten about, but it is essential to consider your outside lighting when working to enhance the exterior appearance of your home. Potential buyers will often drive through neighborhoods scouting out houses for sale online before they ever contact a realtor for an initial showing. Many times, people looking for houses will do this on weekends and in the evening when they have extra time. 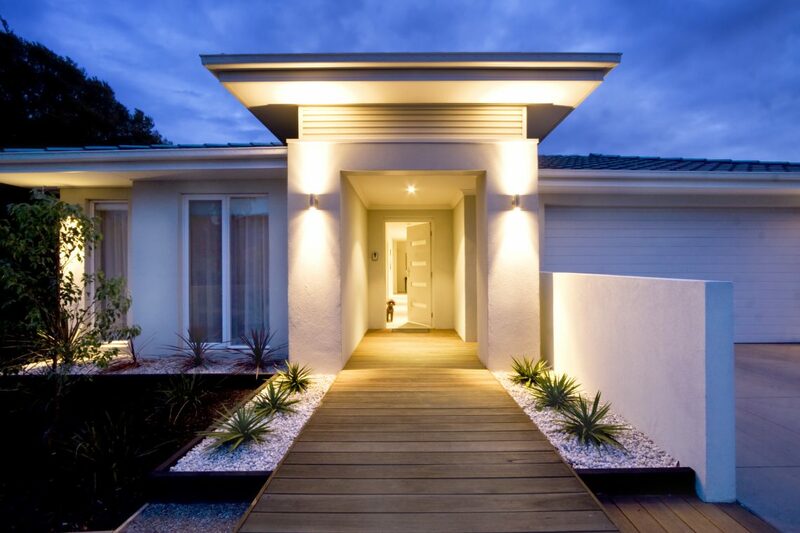 Because of this, you’ll want to make sure the outside of your home is adequately illuminated. To do this, be sure that all of the bulbs in your outdoor light fixtures are in proper working order, and that they are all of the same brightness. Additionally, if you have the contractor-grade fixtures that came with your home, replacing them with newer, more decorative designs can also add extra appeal to your home. From a design perspective, symmetry is a sure-fire way to give your home a welcoming appearance. Our minds have a natural tendency to want to create order out of everything we see and encounter, and the outside of a home is no exception. Creating exterior symmetry is a great way to create a sense of balance, calmness, harmony, and order for those prospective buyers driving by your home and will leave a lasting impression. Even better, creating this balanced appearance doesn’t have to be challenging or overwhelming. It can be very easy and affordable to create! For example, flanking each side of your front door with a beautiful topiary or welcoming lighting is the perfect invitation for buyers to see more. Likewise, balanced and symmetrical landscaping along the walkway leading to your front door also creates a pleasant and inviting appearance for visitors. While we’re talking about how landscaping can add visual appeal for buyers, we should also touch on how the overall condition of the foliage surrounding your home can impact its curb appeal. When you are considering putting your home on the market, be sure to step back to the curb to get a complete visual on how your current landscaping is either enhancing your home’s beauty or taking away from it. When buyers are checking out houses for sale, they will likely be drawn to homes that have well-designed landscaping that will be easy to maintain. If you have bushes or trees that are dead or dying, now may be the right time to get them removed. If you have shrubbery that is overgrown, trimming it back can reveal more of your home’s front facade and attract more showings. Placing planters on the patio and/or creating window boxes full of colorful blooms are also easy ways of adding colorful character to your exterior. Aside from the overall design, landscaping, and lighting on the outside of your home, the exterior paint on your home is another factor that homebuyers will consider when touring your home. If the outside of your home has chipped, peeling, and/or faded paint, this can give your home an old, worn-down appearance. It can also send a message to potential buyers that you haven’t taken efforts to keep your home well-maintained throughout the years, which can deter them from wanting to see the inside. If you can afford it, a new coat of paint for the entire exterior of your home can pay dividends in the end. If your budget will not allow for an entirely new paint job, you may consider freshening up the gutters and trim around your home. Doing so can brighten its appearance and give it that “pop” that attracts real estate agents and buyers. Along the same lines of freshening up the paint on your home, you may want to take a look at how the house numbers on your home have weathered over the years. When potential buyers and agents are driving around looking at houses for sale, a clear and aesthetically-pleasing house number is a good way to boost the curb appeal of your home. When you review the landscaping around your home, make sure that none of it is covering your house number. Be sure to check with your local HOA to ensure compliance with any regulations and bylaws and, if allowed, give your house number a face lift. For example, if you still have the original, thin, black metal numbers that the builder placed on your home, you may consider a house number plate that is more decorative and visually appealing. However you decide to spruce up your house number, make sure it is bold and easy for potential buyers to read. 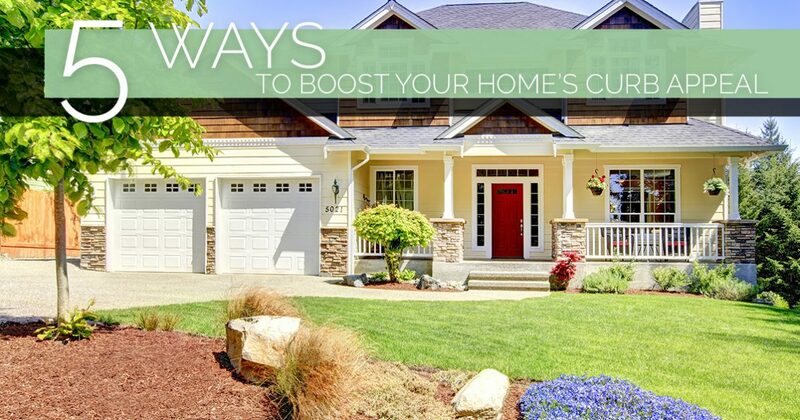 Whether you’re looking for ways to make your home more marketable once listed, or looking for ways to boost a home that’s currently listed, these simple improvements are sure to enhance the curb appeal of your home. The next step is finding a realtor who has your best interest and budget in mind. At Wallace and Dean Real Estate, we are committed to providing attentive and professional real estate services to the North Houston area, including the Woodlands. If you’re looking for a reliable realtor to help you navigate the buying and selling process, contact us today! We’d love to help you sell your house and find your dream home!